The module, known today as Kvant-1, was originally conceived under designation 37KE for Mir's predecessor - Salyut-7. The new spacecraft would improve the station's capabilities with an attitude control system, which did not require propellant. Instead, it would be based on complex electrically-driven wheels called gyrodines. The module would also carry instruments for X-ray and ultraviolet observations of the Universe. A special modification of the docking port was installed on Salyut-7 which would allow the docking of such large spacecraft as 37KE. Yet, the technical problems with module development, forced NPO Energia, the station developer, to reassign the 37KE for the upcoming Mir space station. 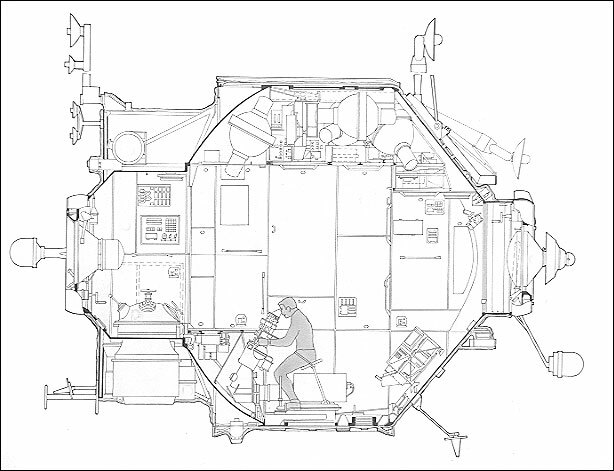 By the end of the 1986, the official Soviet press confirmed that the astrophysical module carrying German and Dutch astronomy gear is slated for launch toward Mir at the beginning of 1987. As it was originally meant, he module housed the first set of six gyroscopes, instruments for astrophysical observations and an experimental unit for electrophoresis. 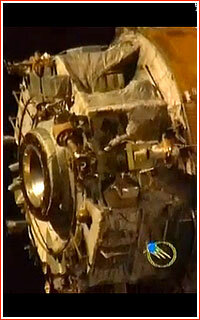 In addition, the Kvant-1 also delivered an additional deployable solar panel to Mir. According to Russian sources, the payload onboard Kvant-1 breaks down into two categories: the scientific instruments with the total mass of 1.5 tons and other equipment - 2.6 tons. After Proton rocket hauled Kvant-1 into the initial orbit, a special space tug was expected to deliver Kvant-1 to its destination. 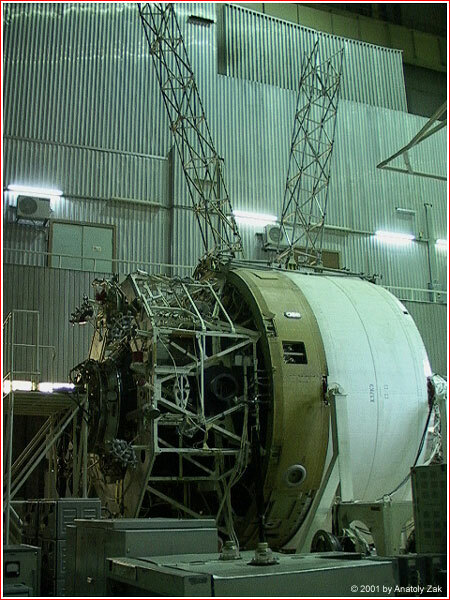 The space tug was based on TKS spacecraft - a "leftover" from the abandoned project of the Almaz military orbital station. Docking of the Kvant-1 with Mir was troubled by the initial failure of its onboard control system. When, after second attempt, the spacecraft finally berthed to the station, the ground control realized that the docking process can not be completed. The cosmonauts onboard the station conducted an adventurous spacewalk to the loosely connected spacecraft, where they found a trash back stuck on the docking port, preventing two spacecraft to dock correctly. The bag apparently stuck in the docking mechanism during loading of a cargo ship. The spacewalking astronauts removed the bag and final docking could be completed immediately. 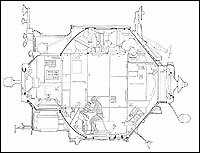 The space tug, which delivered Kvant-1 to Mir was then separated from the complex, revealing a rear docking port on the module. Over the years, the Kvant-1 became an integral part of the station. RKK Energia representatives said that so many communications were drawn through the hatches between the core and Kvant-1 that they had become virtually inseparable. Along with gyrodines, Kvant-1 eventually became a base for two extendable truss structures and the additional solar panels.